Aerial photograph of Brisbane. Picture supplied by Harcourts. THE value of Queensland's housing market has smashed through the trillion dollar barrier for the first time in history. The state's residential property sector is now worth $1.004 trillion - hitting the milestone in September after hovering on or just below that level for months, according to exclusive figures provided to The Sunday-Mail by property research firm CoreLogic. It's been a rapid rise to the top, with the total value of Queensland's housing market sitting at $910 billion only two years ago - that's an increase of 10 per cent or more than $90 billion in just 24 months. 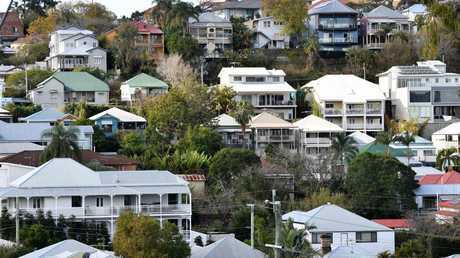 The value of Queensland’s housing market has surpassed $1 trillion for the first time in history. Image: AAP/Darren England. 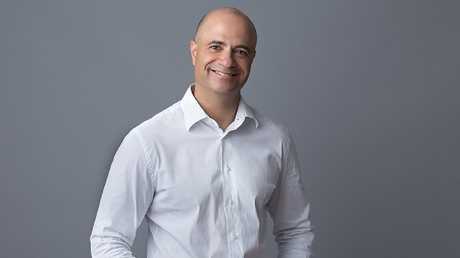 RiskWise Property Research chief executive Doron Peleg said the value of Queensland's housing market surpassing $1 trillion was a gamechanger for the state. "You cannot ignore a $1 trillion housing market," Mr Peleg said. "It makes Queensland the third major player, yet it often gets overlooked by policy makers. "This shows it is a big market with a huge impact on the economy." Mr Peleg said Queensland's improving economy, housing affordability, a rise in interstate migration and increased optimism in the market were all driving the value of the state's residential real estate sector. RiskWise Property Research chief executive Doron Peleg. But he said it was important to remember the state had a two-speed housing market, with houses in the state's southeast performing well but units still carrying some risk. 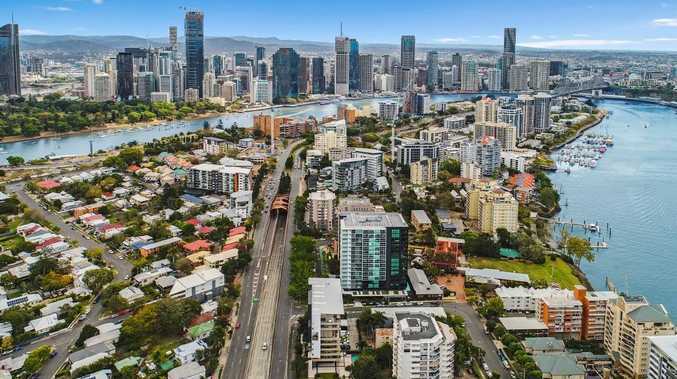 "Overall, due to the improved economy, increase in employment and population, $15 billion construction boom and the Advance Queensland Business Development Fund, Queensland is projected to deliver good long-term capital growth," he said. "However, proceed with caution when it comes to units and in some areas of Queensland, particularly mining towns." Queensland’s housing market is now worth $1.004 trillion. Image: AAP/Darren England. 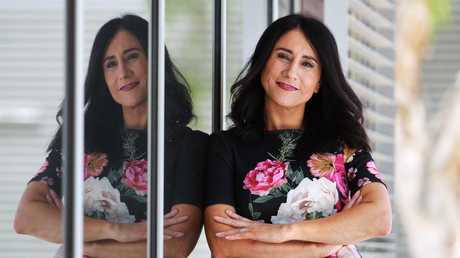 Real Estate Institute of Queensland chief executive Antonia Mercorella said that while $1 trillion sounded like an "extraordinarily high figure", there were a range of factors to consider. Ms Mercorella said the number of homes in the state had also increased in the past two years - up 4 per cent from 1.2 million in September 2016 to 1.9 million in September 2018. The state's annual median house price to June 2018 grew 2.1 per cent to a median of $480,000, with 56,740 house sales. And Queensland's median unit price for the year held steady at $400,000. "Interestingly, the value of the Queensland residential property market represents about 13.2 per cent of value of the Australian residential property market, however, the number of Queensland dwellings represents about 17.7 per cent of the Australian residential dwellings," Ms Mercorella said. "This demonstrates that Queensland is definitely more affordable than other states, such as NSW and Victoria wherein the contribution of the state dwellings is lower than the contribution of the value of the state residential market." In the past five years, Queensland house prices had increased 19.4 per cent and units around 11.4 per cent. "Our growth rates are modest, but as we pass the $1 trillion mark, it's clear that good value attracts savvy buyers and this will continue to deliver growth," she said. CoreLogic head of research Tim Lawless said the rise in the value of Queensland housing was a natural result of higher home values, particularly across the southeast corner of the state. Mr Lawless said the addition of new housing stock to the market had also helped. "According to ABS residential construction data, the twelve months to March 2018 saw another 45,200 dwellings complete construction, and overall residential construction activity was worth approximately $13.3 billion across the state over the year," Mr Lawless said. "Although the overall value of Queensland dwellings has risen over recent years, proportionally, the value of Queensland dwellings now comprise a slightly smaller share of the national dwelling value." CoreLogic head of research Tim Lawless. CoreLogic estimates the value of residential real estate in Australia to be $7.58 trillion. Brisbane was the only mainland capital city to see home values grow last month, defying the national housing downturn hitting other states. Home values increased 0.1 per cent while every other major capital city went backwards. 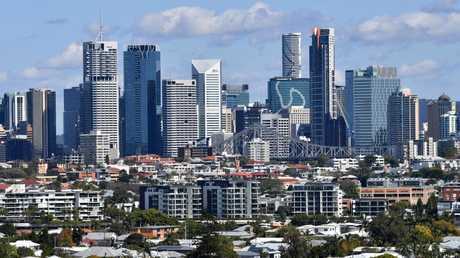 Annually Brisbane's growth has hit 0.8 per cent - the highest of all state capitals - while both Sydney (-6.1 per cent) and Melbourne (-3.1 per cent) dropped into negative territory. Mr Lawless said Brisbane was seeing a rise in buyer interest and home values, but was still significantly more affordable than Sydney and Melbourne. 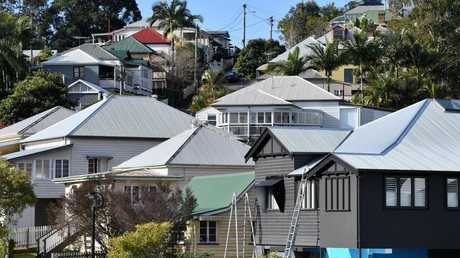 Brisbane was the only mainland capital city to record home value growth in September, according to CoreLogic. Image: AAP/Darren England. Units in Rochedale in Brisbane's south have increased in price by an average of 36 per cent in the past year, while the median house price in Hamilton has grown nearly 27 per cent to hit $1.5 million. Outside of the capital, the Sunshine Coast suburb of Minyama has seen a 45.8 per cent rise in its median house price in the past 12 months to $1.31 million. Darren and Vanessa McGee bought a block of land in Hamilton three years ago and built their dream home on it. House prices in the suburb have risen nearly 27 per cent in just the past 12 months. The couple is now selling the property at 46 Royal Terrace "while it's nice and shiny" to take advantage of the growth in home values. "We like the whole Crosby Road area," Mr McGee said. "You've got the Allan Border Field across the road, coffee shops, Crosby Park … and it's close for me because do most of our work in the city." 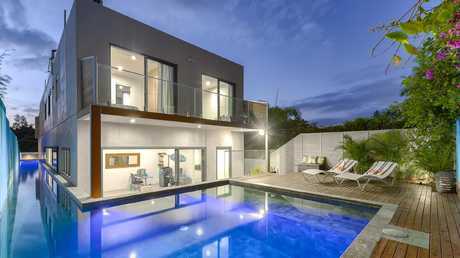 This house at 46 Royal Tce, Hamilton, is for sale. 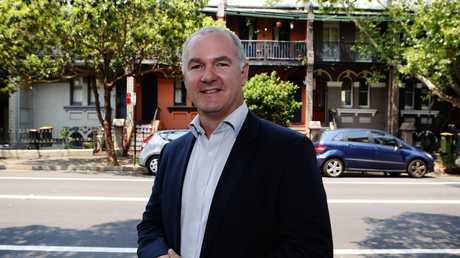 Mr McGee, a local builder, said he was confident house prices in Brisbane would continue to rise. "As long as interest rates aren't going up and unemployment stays down, that normally means housing will be strong, and with all the people moving to the area, there's not enough houses for them all," he said. "I think it's a good time to sell and a good time to buy." Marketing agent Patrick McKinnon of Place - Ascot said he wasn't surprised the value of the state's housing market had reached new heights. "I think it's awesome," Mr McKinnon said. "We've got the population growth and we're still affordable - that's the best thing about this housing market. "Even though Sydney and Melbourne are falling, it's great for us because people want to move up here." 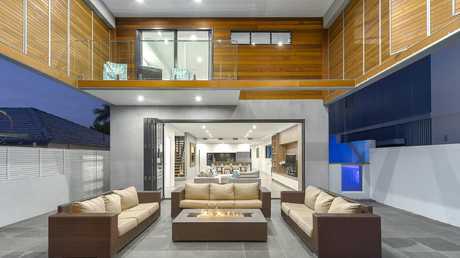 Inside the house at 46 Royal Tce, Hamilton. Mr McKinnon said it was a good time to get into suburbs like Hamilton, which would benefit from the soon-to-be-completed Kingsford Smith Drive upgrade. "All that blue chip real estate is looking at cranes at the moment, but in 12 months, it will grow again and people will start to enjoy what Hamilton was," he said.